Wait, what happens after Colonel Sanders and Mrs. Butterworth kiss? 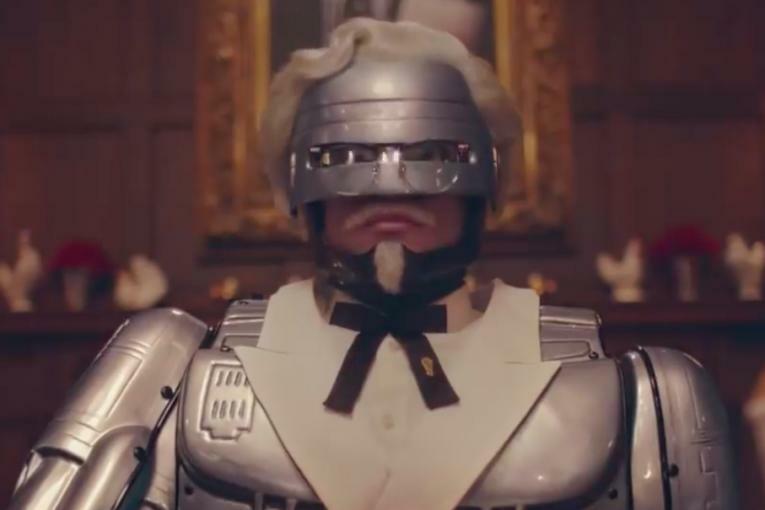 We should all be grateful that a certain specific creative decision was made during this new KFC TV commercial starring an actor (Craig Fleming) playing Colonel Harland Sanders and a come-to-life bottle of Mrs. Butterworth’s Original Syrup. The two icons meet, apparently randomly, in a marble entryway—Mrs. Butterworth appears to make the first move in approaching the Colonel, which takes him by surprise—and it’s love at first sight. 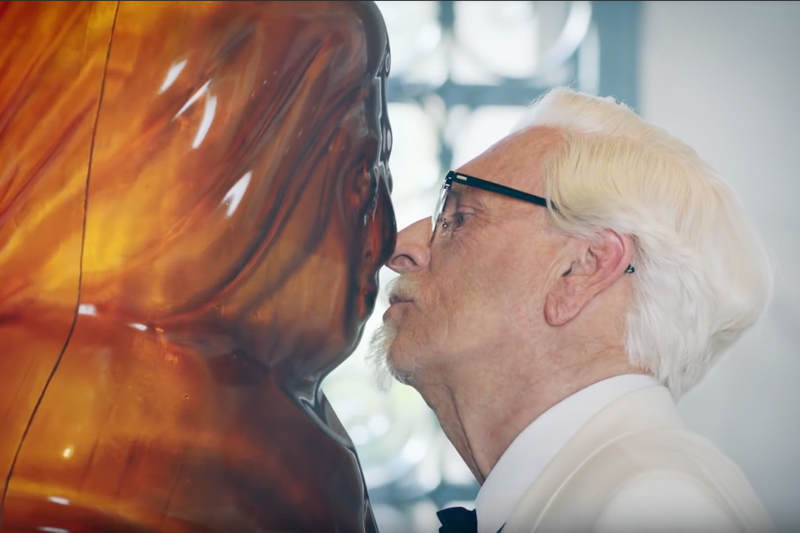 As we hear a cover of the Celine Dion ballad “I’m Your Lady,” they gaze into each other’s eyes, the Colonel tenderly caresses her cheek, and then they both lean in for a kiss... except we never actually see their lips touch. Instead, the ad cuts to a money shot of waffles getting drenched in syrup—i.e., Kentucky Fried Chicken & Waffles, which are once again available for a limited time. Anyway, the directorial or editing decision to not show the kiss is brilliant, but it also raises a lot of questions. 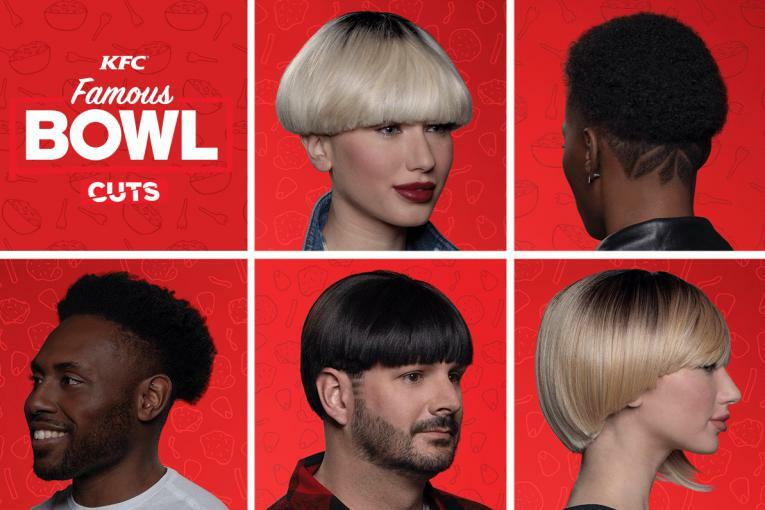 Presuming the Colonel and the Mrs. did actually smooch, what happened next? Given their obvious, almost palpable passion for each other, did they proceed to second base? Third? Fourth? And since there are what appear to be gallons of syrup involved, how messy did it get? Mrs. Butterworth is, of course, a fictional character. But Colonel Harland Sanders was a real person, the actual founder of KFC, who died in 1980 but has been surreally reanimated post-mortem by a series of actors and celebrities. The real Colonel Sanders was married; his second wife, Claudia, helped him turn his first restaurant, the Sanders Cafe in Corbin, Kentucky (where she started as a waitress), into a global fast-food empire. Claudia Sanders died in 1997. Would she have been outraged by the Colonel’s hook-up with a married woman? Or would she have been OK with it because her husband’s side piece is just, you know, a plastic bottle? Where is Mr. Butterworth in all this?